Dark dusty garnet color. 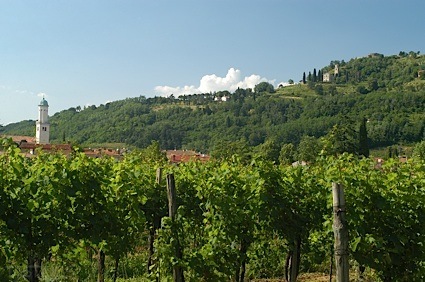 Inviting aromas and flavors of artisan cherry pie and vanilla-scented tobacco with a round, vibrant, fruity medium-to-full body and a silky, stimulating, medium-length finish with elements of allspice, rose, leather, and stracciatella gelato with medium tannins and heavy oak flavor. A juicy, velvety Cabernet that will be a weeknight homerun. Bottom Line: A juicy, velvety Cabernet that will be a weeknight homerun. 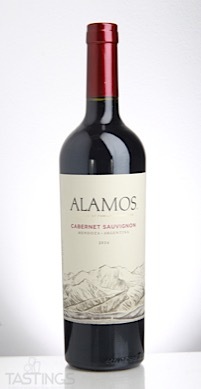 Alamos 2016 Cabernet Sauvignon, Mendoza rating was calculated by tastings.com to be 88 points out of 100 on 2/2/2018. Please note that MSRP may have changed since the date of our review.